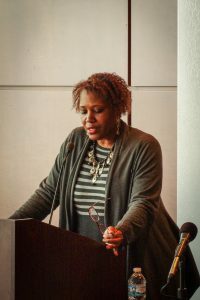 Marsha Ross-Jackson, Assistant Dean for Student Professional Development, Executive Director of the Institute for Law and the Workplace, and Senior Lecturer introduced the event. She said discussing unconscious bias is an important way to follow up on pushing for more representation and awareness of diversity issues. 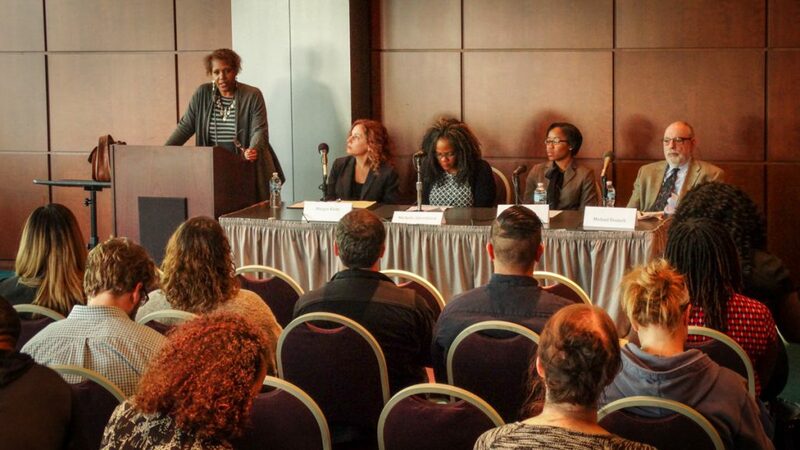 If we have more people from underrepresented groups in any field but haven’t addressed what may not make it an inclusive, welcoming environment, we haven’t solved any problems, she said. Bias training also helps with recognizing issues outside your own field or workplace: in how clients are treated, the issues they face and where other people may be basing assumptions that affect your work. 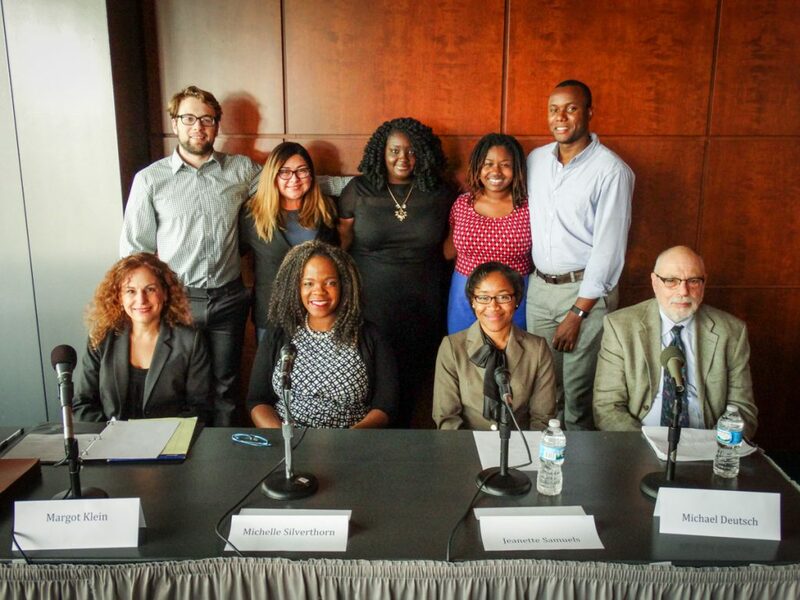 Six of our student orgs teamed up this week to sponsor a panel discussing implicit bias and how it affects law enforcement, legal professionals, law students, juries, and our justice system. 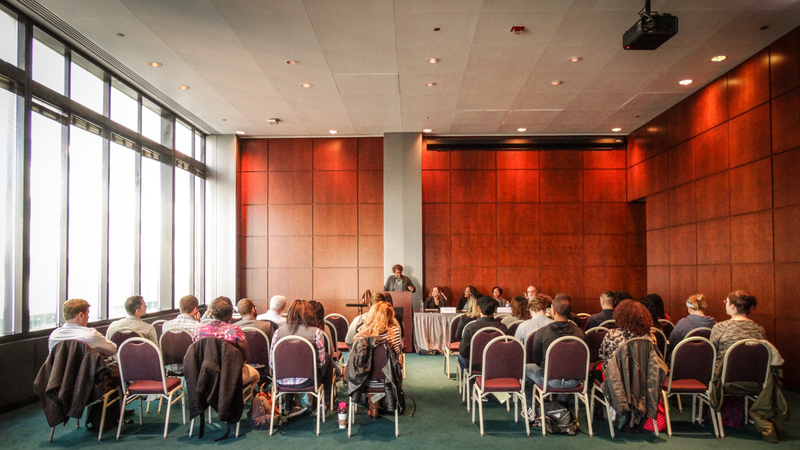 Chicago-Kent SBA, HLLSA, NLG, ACLU, BLSA, and MLSA. Previous Post HLLSA is 2015 Student Organization of the Year!